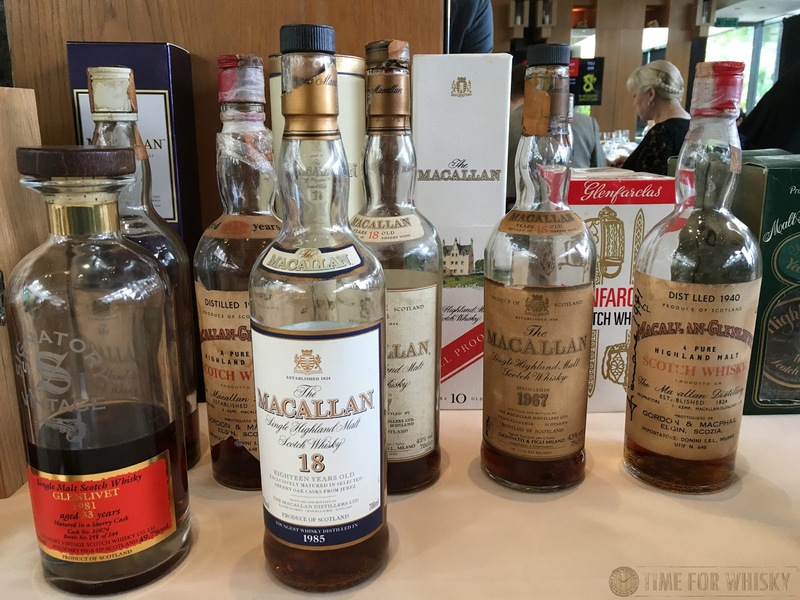 At the recent Dragon8 Hong Kong auction a few weeks ago, I mentioned that we were treated to some incredible old drams, including Bowmores, Highland Parks, and of course, Macallans. 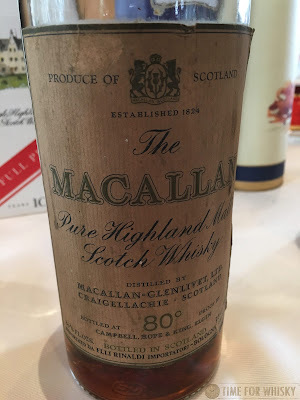 I was lucky enough to try two of these, and I'll kick off the tasting notes with the younger of the two - a 1959 The Macallan 18yo, bottled by Campbell, Hope & King of Elgin, and imported by Flli Rinaldi, Bologna for the Italian market. Being 1959 distilled spirit bottled 18 years later also happens to put it squarely into the #101drams category - allowing me to tick off #98 "A Scotch bottled in the 1970s". Winner - it's time I started ticking off a few more. But hold up...this was the "younger" whisky? Well yes, the other was a 1938 31yo The Macallan - tasting notes up next! Now sure, old Macs come up at auction somewhat often (always accompanied by lofty price tags), and occasionally you see an old bottle pop up for sale (like this 1976 Macallan 18yo, which was recently available but sold out in a matter of days), but how often do you actually get a chance to try these rarities? For the vast majority of us, it's probably fair to say "not every often". So in summary - a rare treat indeed. But how did this spirit, distilled 57 years ago and bottled 39 years ago, hold up? Nose: Quintessential sherry. Toffee, burnt orange, a nuttiness. There's also some cola lollies, and a hint of furniture polish. Makes you want to dive right in...but you don't. You wait, you enjoy the nose longer, longer. This liquid's been waiting 57 years...you can wait a few more minutes. Palate: OK, can't wait anymore. Zesty - lots more of that burnt orange. A slight hint of smoke. More citrus - not bitter, but getting there (in a good way). Plenty of toffee, hints of mocha, more orange (whole oranges now), and some more nuttiness. Glacé fruits, walnuts, it's all here, and it's all delicious. So far, pleasingly, no signs whatsoever of oxidation or "old bottle effect" either. Finish: Long (LONG), a little more smoke. More citrus (orange zest this time), some leather, a little bitterness, and somewhat surprisingly, some butter menthols.